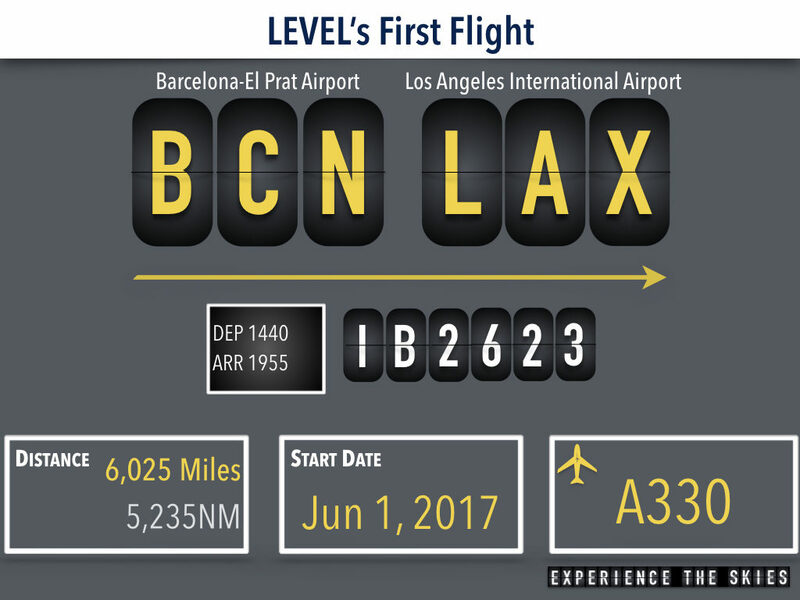 LEVEL’s first flight took off from Barcelona–El Prat Airport (BCN) at 1540 (340pm) CET/1440 (240pm) BST and arrived at Los Angeles International Airport (LAX) at 1955 (755pm) PST. 314 passengers (293 in economy and 21 in premium economy) filled the inaugural flight. Until the employees are trained, all LEVEL’s flights will be operated by crews from sister airline Iberia. IAG reported that Spain’s first longhaul low cost operation sold more than 134,000 tickets since its launch on March 17, 2017 through the airline’s website. In less than 3 months, the airline sold more than 42 full flights in current configuration. The strong start is likely aided by the promotion fare of €99/US$149 one way. At Barcelona airport, Willie Walsh, IAG’s chief executive said: “This is the start of a fantastic new adventure for IAG. 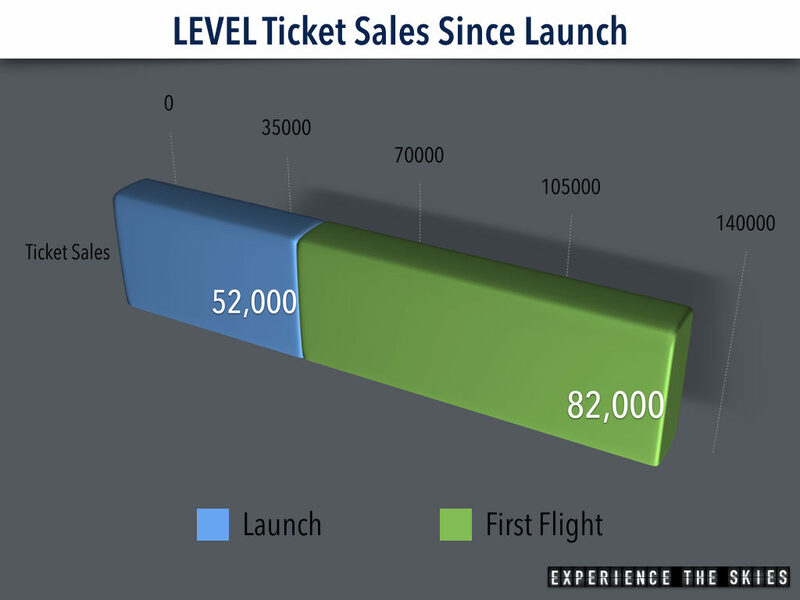 LEVEL’s sales are well ahead of our expectations in all markets. The brand has resonated with a new audience, many of whom are flying longhaul for the first time. “In 2018, LEVEL will increase its fleet to five aircraft and we are considering other European bases for the operation. “We’re really excited about LEVEL which offers amazing fares, stimulating demand by providing people with more choice”. While passengers can only book directly through Norwegian, LEVEL’s flights are accessible from Iberia and Vueling’s websites. The latter not only serves the low cost market but is also a dominant player at the airport. It is interesting to note that passengers can only book LEVEL’s flight on Vueling’s Spanish website and cannot currently add connections. this limits the reach of the combined marketplace. Another advantage is the ability for passengers to earn and redeem Avios miles on LEVEL’s flights. The loyalty component can be important for those that group all their travels under the IAG’s airline family which also includes British Airways and Aer Lingus. If there are any flight disruptions and cancellations, LEVEL’s passengers can be accommodate by Iberia and British Airways through one-stop connections. This limits the IAG group from paying other airlines to carry passengers. The newly formed airline is starting operations with five aircrafts based in Barcelona and goals to set up more bases at other European airports. Besides facing off with traditional national carriers like Lufthansa and Air France, its ambitious Europe to the Americas plans will be met with direct and indirect competition from other long haul low cost carriers. 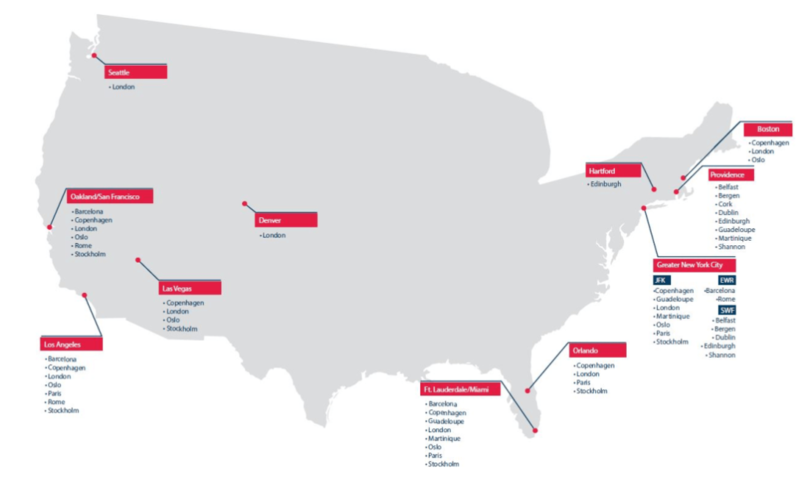 Norwegian is the biggest of the bunch with Air Canada Rouge, WOW Air, Icelandair, Eurowing and WestJet following closely behind in the number of flights offered. 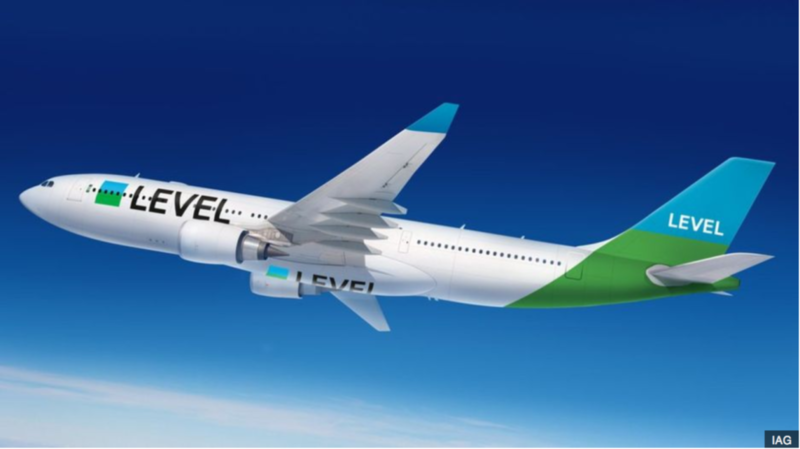 LEVEL will need to keep its costs down by quickly ramping up its own crews and pilots. Additionally, the airline should spend more research and development dollars on innovating more more ancillary revenue opportunities beyond the de facto items such as on board WiFi, advanced seat assignments and lounge access. One immediate consideration is for the airline to take a look selling add-ons with Spanish train operator (Renfe) similar to the successful partnership Lufthansa has with Deutsche Bahn (Insight). 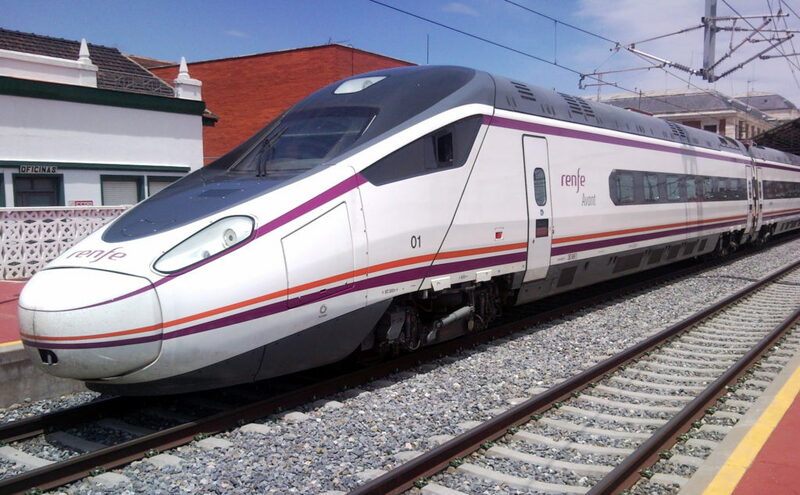 BCN is in the midst supplementing commute train service from Terminal 2 with a shuttle train that connect passengers from Terminal 1 to Barcelona Sants railway station (connected with the high speed train, the AVE) and Passeig de Gràcia Stations by the end of 2020. The additional add-on would expand the number of passengers who can take advantage of LEVEL.